Cannabidiol, known more popularly by its initials CBD, is all the rage right now. Instagram influencers, celebrities and media pundits alike are jumping on the bandwagon to tout the benefits of it, as companies scramble to sell everything from CBD smoothies and gummy bears to CBD ointments and bath bombs. And, as per the New York Times, there are even CBD dog treats on the market right now! In other words, this wunderkind compound seems inescapable. But you might be left scratching your head at CBD’s popularity. What is it exactly, and why is everyone so eager to try it? This article will answer those questions, and fill you in on why health experts are so enthusiastic about CBD. Cannabidiol is one of the two main compounds found in cannabis – the other being Tetrahydrocannabinol, or THC. 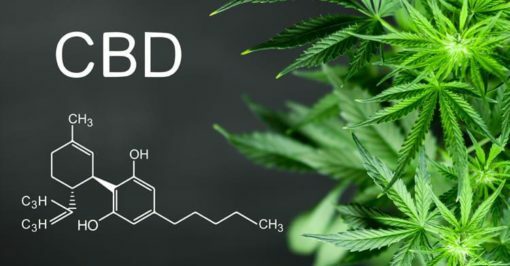 But before you start thinking that CBD will get you high, let’s make one clarification: THC is the compound in cannabis responsible for the high, whereas CBD’s effects are simply relaxing, calming and pain relieving. CBD produces no intoxicating effects. When you smoke cannabis, you get both THC and CBD, but in other applications CBD can be separated and concentrated, used to make tinctures, teas, cookies, and more delicious products from Olli Brands that are yet to be on the market. But, more often than not, users anecdotally describe their experience with CBD as being “calming”. They point to its ability to soften the blow from even the most pervasive negative thoughts, and engender a feeling of sereneness. Not a sedative kind of calm, like you might find with THC, but a clear-headed and bright kind of calm. The legality of CBD in North America is a shifting patchwork of bureaucratic regulation, and in many places it exists in a kind of grey area between illegal and legal. Seeing as it’s often not well regulated, many purveyors get away with offering a subpar or even falsely packaged product. If you live in Canada, you are lucky, since the legalization and regulation of recreational cannabis has opened the door to quality manufacturers of CBD products, but stateside you still need to be quite vigilant about sourcing. CBD is the main non-psychoactive compound in Cannabis and can be extracted and localized for use on its own. The compound has many positive health benefits, including pain and anxiety relief, and users report feeling a clear-headed kind of calm. When you source CBD, make sure you are getting quality, regulated products. This is easier in Canada than it is in the states, but that might not always be the case. Previous readingWhat Amenities Should You Look for in a Retirement Residence?